LONDON and NEW YORK, December 19, 2018 /3BL Media/ - AccountAbility announced their collaboration, with a select group of premier global companies, on an exciting new pilot project following the release of the AA1000 Accountability Principles (AA1000AP, 2018). 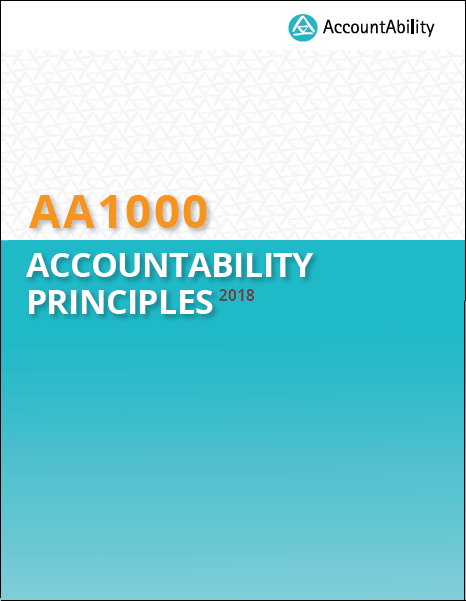 The purpose of the newly released AA1000AP (2018) is to provide organisations with an established set of internationally accepted guiding principles to structure and manage the way in which they understand, assess, govern, implement and communicate their accountability and sustainability performance. The AA1000AP (2018) forms the foundation of the globally applied AA1000 Series of Standards. 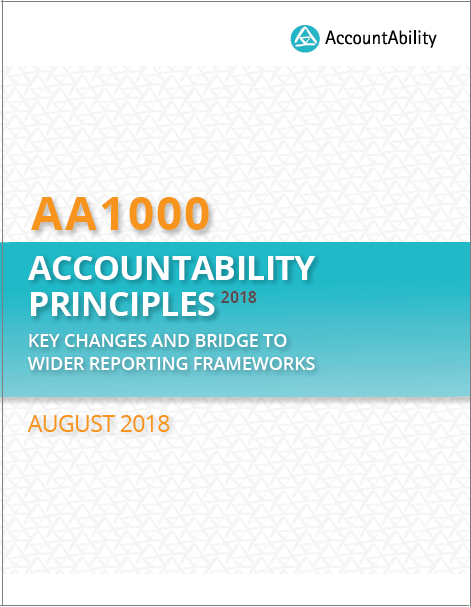 To support the launch activities and uptake of the AA1000AP (2018), AccountAbility will use the AA1000AP Pilot Project to develop a publication showcasing case study examples that highlight the experiences of companies of different sizes across diverse geographies, representing multiple industry sectors globally, in applying the AA1000AP (2018) within their organisations. “We hope that all participating companies will benefit through this pilot and from AccountAbility’s thinking and expertise. The case study publication will help organisations worldwide, to apply the AA1000AP (2018) as a simple, practical and multi-purpose framework to advance responsible practices and improve their long-term sustainability performance.” said Mr. Sunny Misser, Chief Executive Officer of AccountAbility. The AA1000AP (2018) pilot project also provides a lighter version of AccountAbility’s new service offering, the AA1000AP Healthcheck. The AA1000AP Healthcheck requires organisations to undertake an assessment of their alignment to the four AA1000AP (2018) Principles – Inclusivity, Materiality, Responsiveness and Impact. Organisations will be provided with a structured scorecard and practical recommendations on how they can more closely align to the Principles. “As long-standing users of the AA1000 Accountability Principles we welcome the update, and in particular look forward to the opportunity to road test the new principle on “Impact” through our participation in the pilot project,” said Ms. Susanne Stormer, Vice President of Corporate Sustainability at Novo Nordisk. AccountAbility is a global consulting and standards firm that works with business, governments and multi-lateral organisations to advance responsible business practices and improve their long term performance. Since 1995, we have been helping corporations, nonprofits and governments embed ethical, environmental, social and governance accountability into their organisational DNA.